Commercial Paving Services Serving Businesses Along the Interstate 78 Corridor & Surrounding Neighborhoods for Three Generations. Providing your customers with a safe and smooth parking surface is not only a measure of care and aesthetic for a good experience. A safe and smooth parking surface is also a strong layer of protection for your business. Did you know that entire law firms specialize in “pothole laws”? Trip and fall lawsuits are one of the biggest liabilities a business owner can face, and one of the most frequently occurring. This is why we take great care to educate our customers on the proper construction and maintenance of their parking lots to ensure a long – lasting, safe parking space that will stand the test of time and weather. We ensure the proper installation of sub-base to prevent buckling and sinking from vehicle traffic, as well as assess and recommend proper drainage measures to prevent pooling and wash outs. With three generations of experience, we know our pavement, and you can trust that your investment will look great and last a long time. 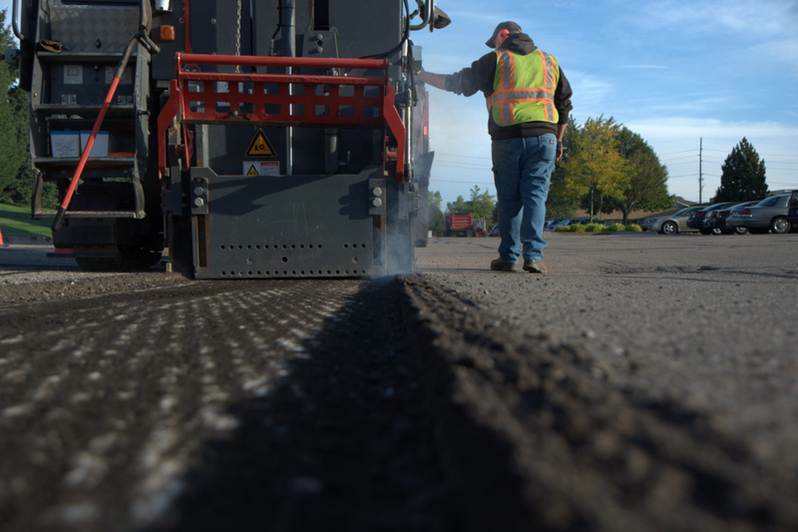 Milling is a process by which existing pavement is removed and ground up – typically to be reused as RAP (reclaimed asphalt pavement) and added to hot mix asphalt. This helps reduce the environmental impact of repaving, while making it possible to remove damaged and distressed areas of the old pavement surface such as swells, bumps or depressions. One of the main uses for milling is to control the height of the paved surface, especially in maintaining access to manholes or catch basins, height in relation to the curb, maintaining overhead clearances, etc. Milling can also be used to change the slope or camber of the road for grade adjustments or to help with drainage. Crack Filling is an important step in driveway and parking lot maintenance. Open cracks in pavement invite disaster. When water seeps into the subbase, it’s a matter of time before the entire paved surface is crumbling. It’s much more affordable to repair cracks as they appear than it is to wait for a complete rip up and replace of the subbase. Everyone enjoys driving onto a freshly paved sealed parking lot surface. A sealcoat can help a parking lot appear brand new, and the curb appeal is pleasing to customers and tenants. In addition to the aesthetic benefits of sealcoating, parking Lot Maintenance is far more cost effective that parking lot repairs. A parking lot left to deteriorate can result in having to grind up and haul away the existing pavement in order to install a proper sub-base for a new paved surface. Sealcoating every three years or so can save tens of thousands of dollars on the average commercial parking lot. In fact, an independent study by the Pavement Coatings Technology Center at the University of Nevada calculated that maintaining asphalt with sealcoat every three years saves an average of $152,500 for a typical commercial parking lot over 15 years. Sealcoating is the application of a thin coat of coal tar pitch or asphalt emulsion mixed with inert fillers, water, emulsifying agents or additives. Sealcoating with quality materials and techniques will prevent damage from water seepage, oil spills, oxidation, and will improve the durability of the surface overall. It is estimated that sealcoated pavements last 30% to 50% longer than unsealed pavements, and result in a safer, smoother surface that is easier to clean, and less likely to result in a trip and fall lawsuit. Fresh pavement markings and striping make your property look newer and well cared for. Properly applied pavement markings can help to guide pedestrian and vehicle traffic, while maximizing parking spaces for tenants, customers and employees. 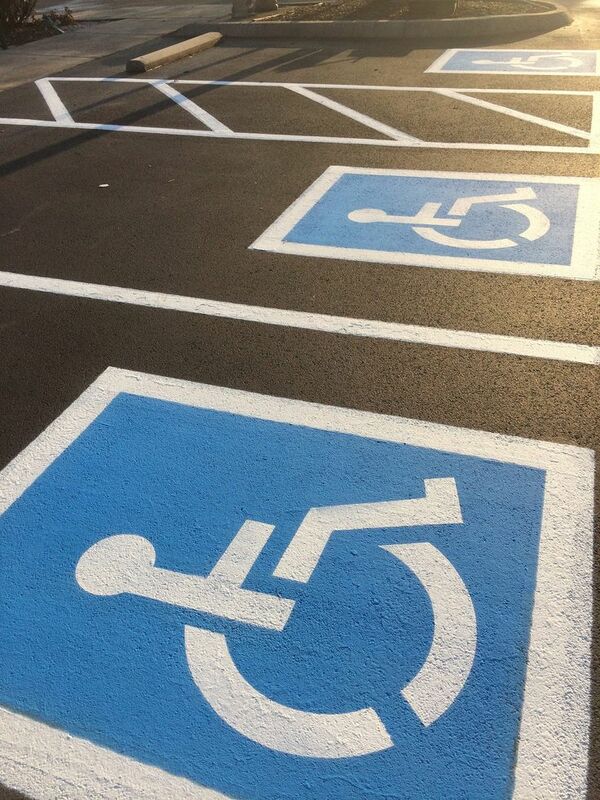 Striping is also helpful in avoiding fines or penalties pertaining to the Americans with Disabilities Act. This resource will help you understand your striping requirements as per the ADA. 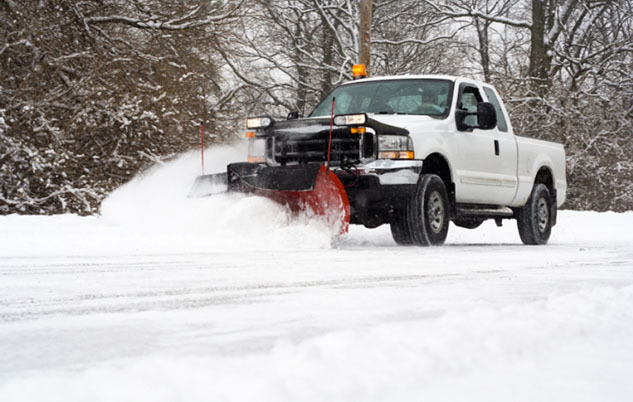 Looking for an experienced and reliable commercial plowing and salting crew? Keep your industrial or commercial lots clear and safe for employees, deliveries and customers this winter with a commercial snow contract with J. Pip’s Paving. 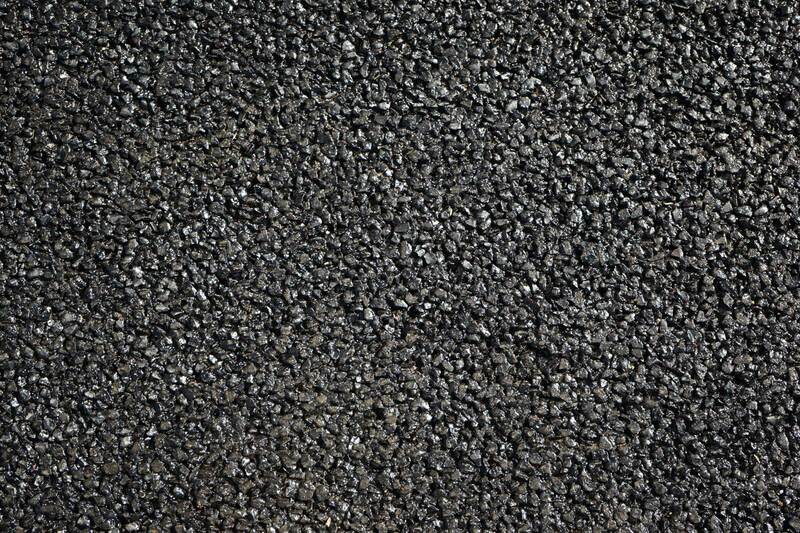 Asphalt is the ideal material for commercial and industrial parking lots and driveways. When well maintained, an asphalt surface can last up to 30 years before it needs to be replaced. 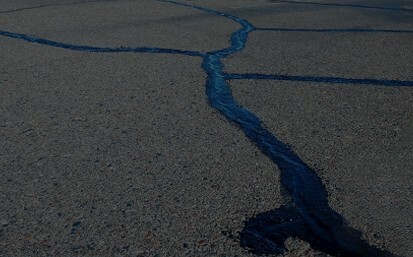 It is important to seal cracks as they occur to prevent water from seeping into the subbase (resulting in further damage and cracking) and an asphalt surface should be sealcoated every 2-5 years. This will maintain the look and feel of the paved surface, while preventing the progression of damage from the sun and weather. For a durable, flexible paving surface that will stand the test of time, a properly laid asphalt surface is your best choice.